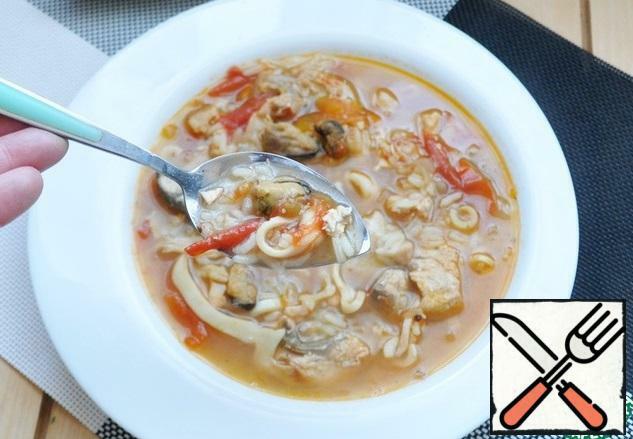 This soup is served in Our Japanese restaurants in the far East. And recently I learned that this is a popular dish of Mediterranean cuisine. In General, no matter what the kitchen is part of the dish. 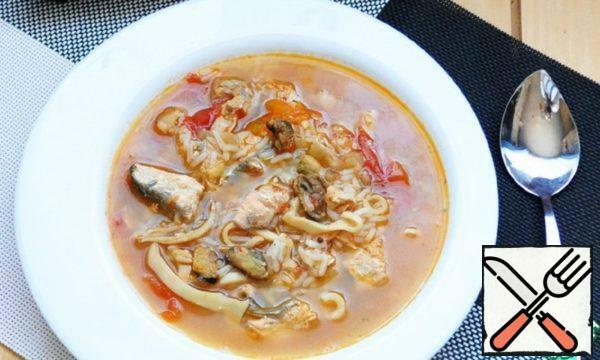 It is fragrant, dietetic and tasty, and during Fasting it can be allowed on allowed fish days. 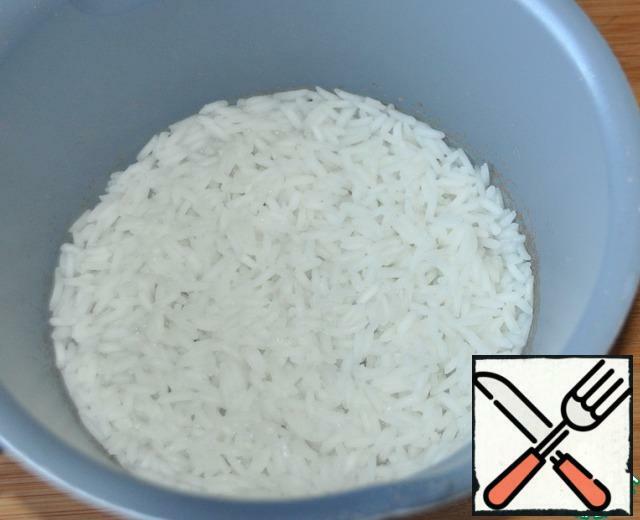 Take rice, pour water 1 to 2, cook according to the instructions. 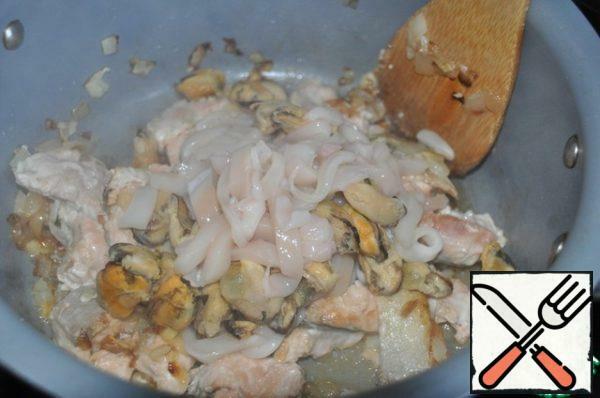 At the same time we take any thawed seafood. 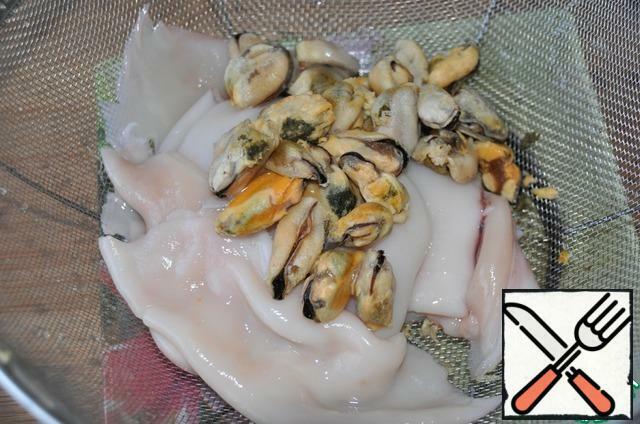 I have squid (pre-peeled) and mussels. 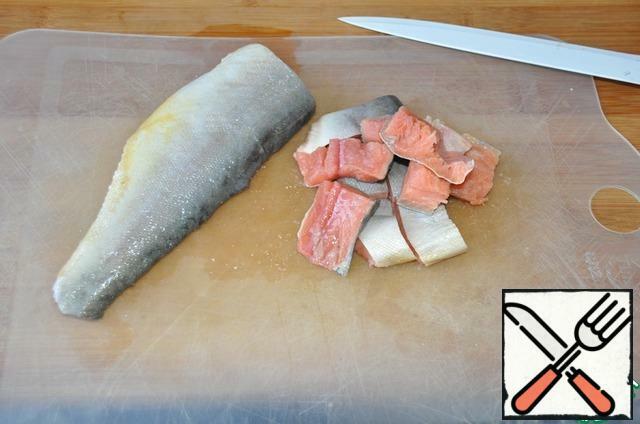 Pink salmon (any salmon) is clean, undressed on fillet, skin leave that fish is not falling apart. Cut the fish into pieces (strips). 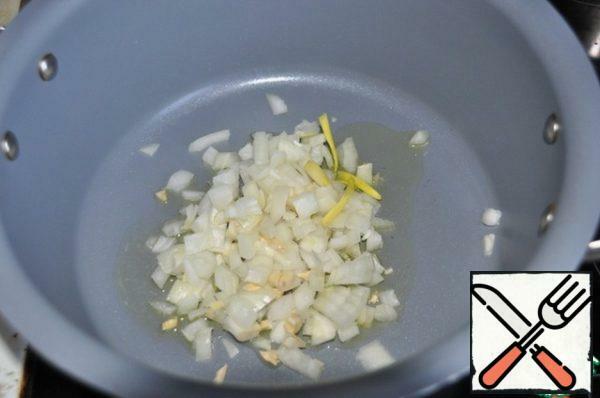 Onions and garlic cut into small cubes and fry for 1 minute on high heat in vegetable oil in a saucepan. 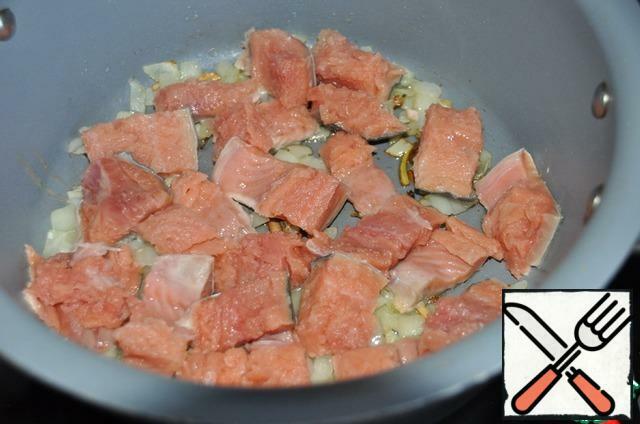 Put the pieces of fish and fry for 3 minutes on high heat. The pieces should fry. Put seafood. I have squid cut into thin strips and mussels. Fry for 1 minute on high heat, stirring. 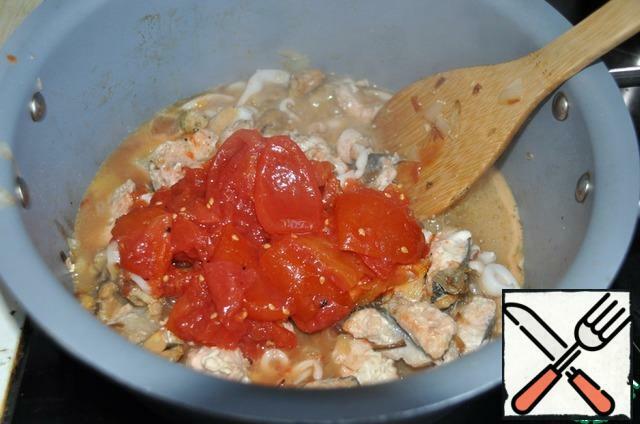 Add tomatoes in their own juice, can be replaced by chopped tomatoes. Simmer everything for 2 minutes. 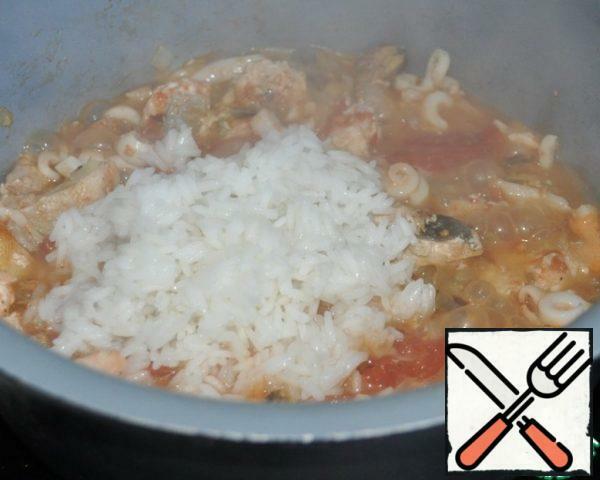 Put rice to seafood in a saucepan. Add salt, a mixture of peppers to taste, greens (I have dried parsley). 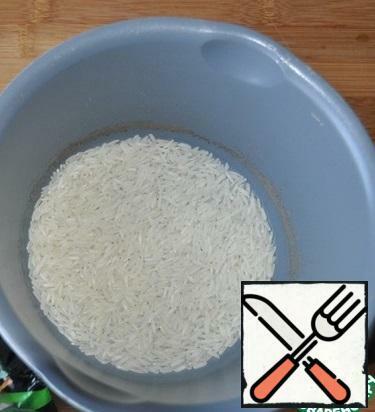 Pour boiling water. 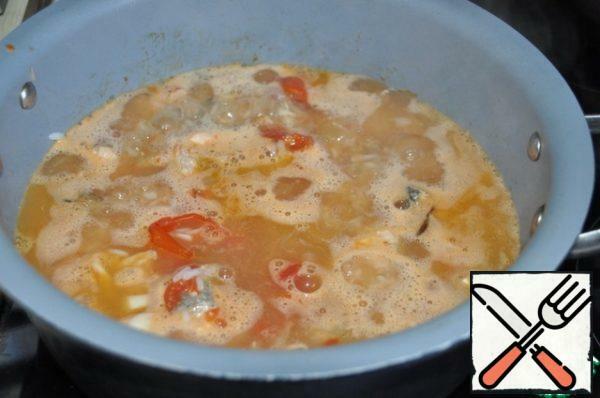 Bring everything to a boil and cook for another 2 minutes on low heat.